For the third consecutive year, General Cigar has collaborated with cigarmaker and tobacco grower A.J. 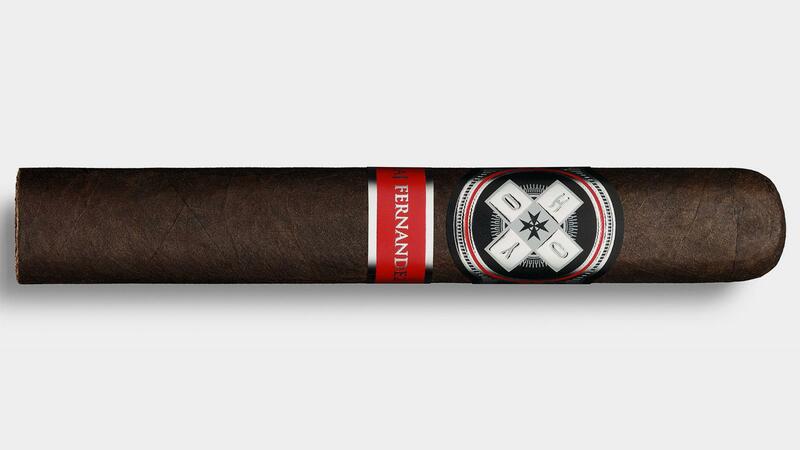 Fernandez to create a Hoyo La Amistad release. This year’s version is called Hoyo La Amistad Black, and according to General Cigar, it is the boldest in the La Amistad line. Hoyo La Amistad Black sports a Mexican San Andrés binder with Nicaraguan Habano filler leaves and is covered by a dark, Ecuador Sumatra wrapper that General is classifying as oscuro. The new blend, which is expected to begin shipping in late-July, will be available in three sizes: Rothschild, measuring 4 1/2 inches by 50 ring gauge; Toro, 6 1/2 by 52; and a box-pressed Gigante, 6 by 60. While the Rothschilds will come in boxes of 25, the Toro and Gigante cigars will be packed in 20-count boxes. The cigars will retail between $7.29 and $8.49. Like Hoyo La Amistad (now called Hoyo La Amistad Gold) and Hoyo La Amistad Silver, Hoyo La Amistad Black is made at Tabacalera A.J. Fernandez Cigars de Nicaragua in Estelí.